The video really explains it all, and they sing it to the tune of ‘Old McDonalds’s Farm’. Camp Nectar wanted a way to promote that their juice boxes are made with real fruit juices. 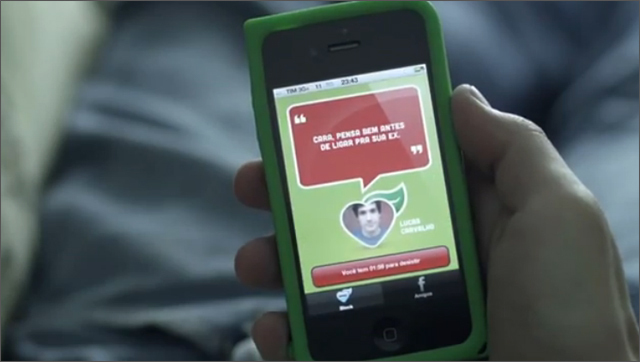 Brazilian ad agency ageisobar came up with the idea to create ‘real’ fruit boxes. 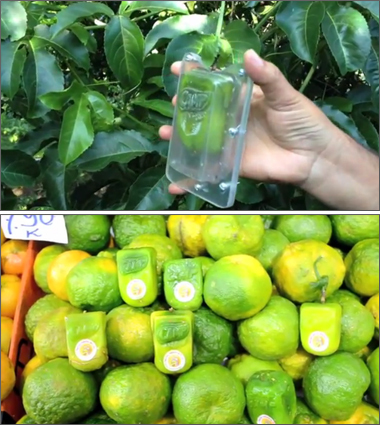 They created plastic molds and placed them around the passion fruits and guava still growing on the trees on a farm in Paranapanema. After two years of experiments, they finally achieved their goal and were able to create over 1100 of the juice-box shaped fruits. The results of their efforts were exhibited in supermarkets, fairs and fruit markets. It’s not the first time we’ve seen fruits grown in odd shapes, back in 2009 a Japanese farmer grew heart-shaped watermelons and not to be outdone the chinese grew pears in the shape of Buddah. 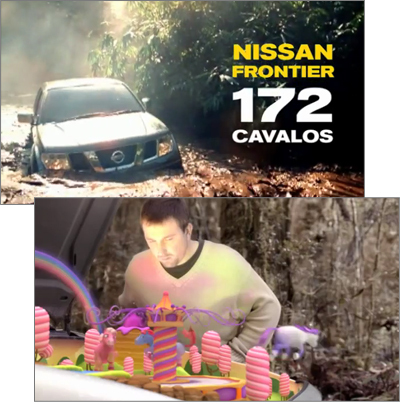 How do you create a fun experiential campaign to promote a dish washing sponge to an audience in their 20s? Buy them dinner. 3M’s Scotch Brite may be the #1 sponge brand in Brazil, but there was little awareness among the younger audience. 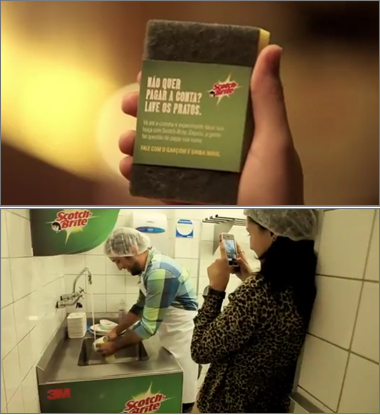 For one week Scotch Brite teamed up with São Paulo restaurants that were frequented by the target market. When the bill arrived, the diners were presented with an intriguing offer. Instead of a bill, the waitress passed them a Scotch Brite sponge with the message; “Don’t Want to Pay the Bill, Wash the Dishes”. As explained in the video, for a relatively small investment and using the element of an unexpected surprise, Scotch Brite created a ‘try-it-yourself’ experience worth talking about. 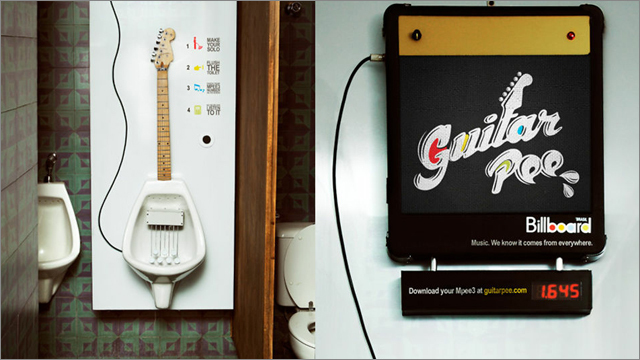 The ‘Wash Your Bill’ campaign was created by Grey 141’s office in São Paulo. Back in September I published a post about the creative ways that organizations are using their YouTube brand channels including Perrier’s ‘Le Club’, Dodge Journey Scavenger Hunt, Royal New Zealand Air Force’s Step Up recruitment campaign and Kiwibank’s Green Ops. 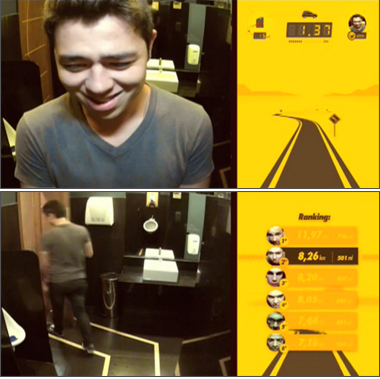 Brazilian tourism board is the latest to transform their YouTube channel beyond a simple library of videos to an interactive destination. 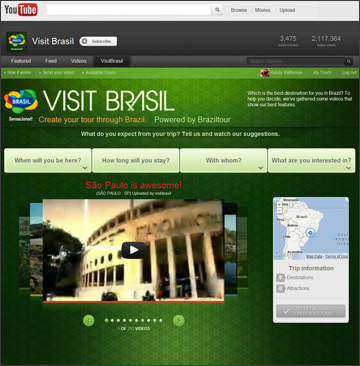 The channel features 253 videos of various destinations and events around Brazil. Visitors can filter the videos by selecting which month they are traveling, how long they plan to stay, who they are traveling with and what type of things they are interested in doing (from shopping to sports to nature). 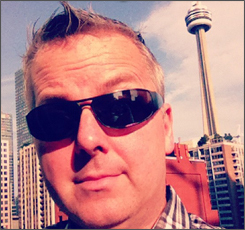 Visitors can add videos that interest them to their itinerary with the click of a button. Once the site visitor has selected their destinations, the itinerary can be saved and shared to their Facebook profile. If I have more than 4 Post-It notes at my desk I start stressing out, so I can’t imagine being surrounded by this many. But if the results were as beautiful as this I think I’d be OK.
Brazilian footwear manufacturer Melissa worked together with 3M to create this jaw dropping installation at their Galeria Melissa flagship store in São Paulo. The project promotes their the Melissa spring/summer collection of footwear, Melissa Power of Love. 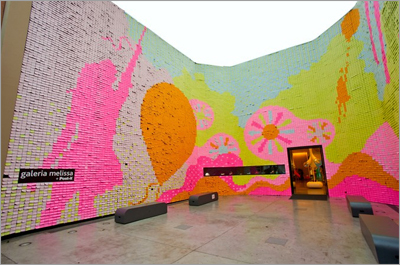 Visitors to the store left their mark on the project, adding 30,000 thoughts of love on the Post-It Notes. The project took 25 animators almost 5 months and 350,000 colored Post-its to create this amazing and inspiring piece of work.